You may or may not be aware that we’re about to embark on an adventure around the world, leaving all of our shop stock behind to see new things. It’s going to be an amazing trip, but it does mean that we’ll have to close down or change things around for a while. Instead of saying goodbye we’ve decided we’d rather try selling a different kind of product as we go. How would you like to join in our journey around the world and have a custom postcard sent to you from an exotic location on the trip? 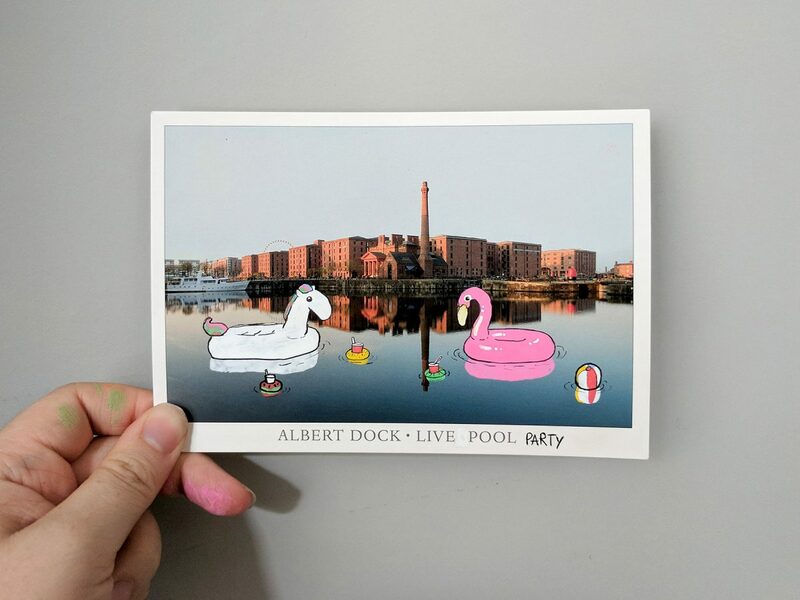 If you’ve been following us online you’ll know we’ve started sending a few postcards from Liverpool for free. If you’d like to get your hands on one, just make sure you do before 1st October 2017. After that we’ll be out of the country until the following May so you might have to wait a while! We can’t wait to be inspired by the world and continue to make art as we go travelling. Hopefully we can fit some decent pens in our backpacks or who knows what we’ll end up drawing with.